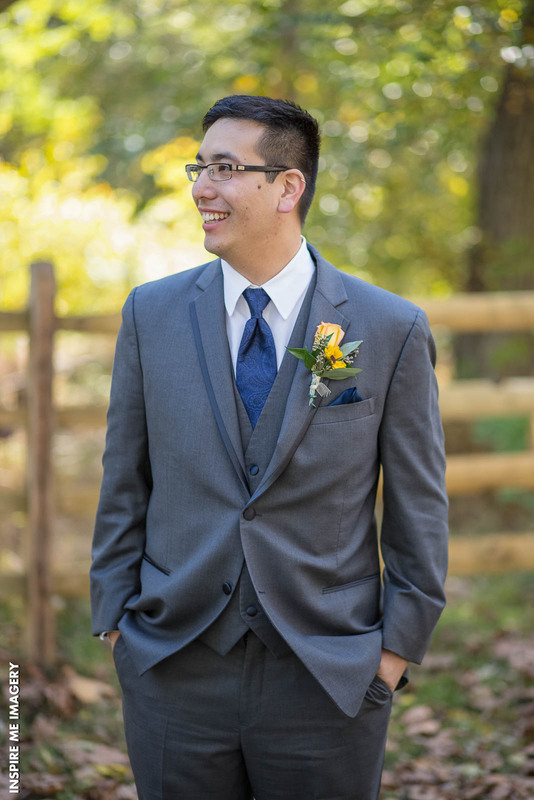 Fall is such a popular season for weddings. Perhaps it’s the crisp breeze and cool temperatures, the nearing of the holiday season, or the beautiful scenery. 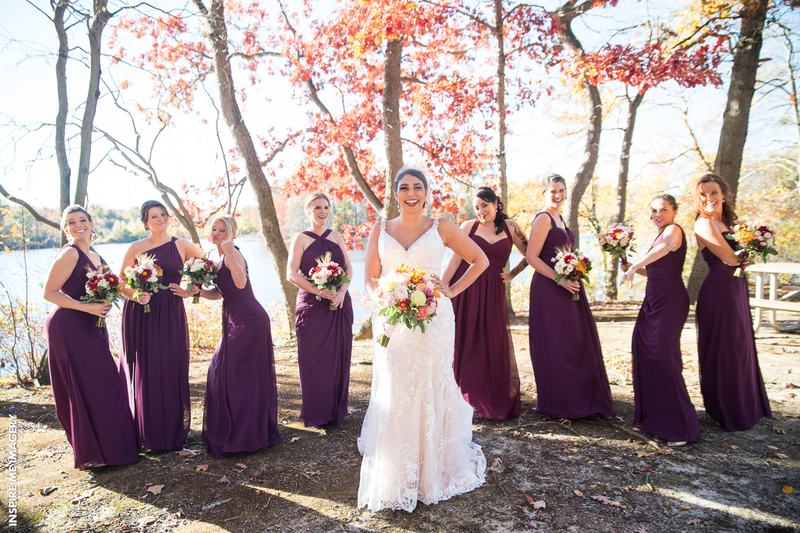 We have seen our fair share of weddings here at Crystal Ballroom in Freehold NJ and we have to admit that it’s the beautiful color combinations of fall that really make the wedding something special. 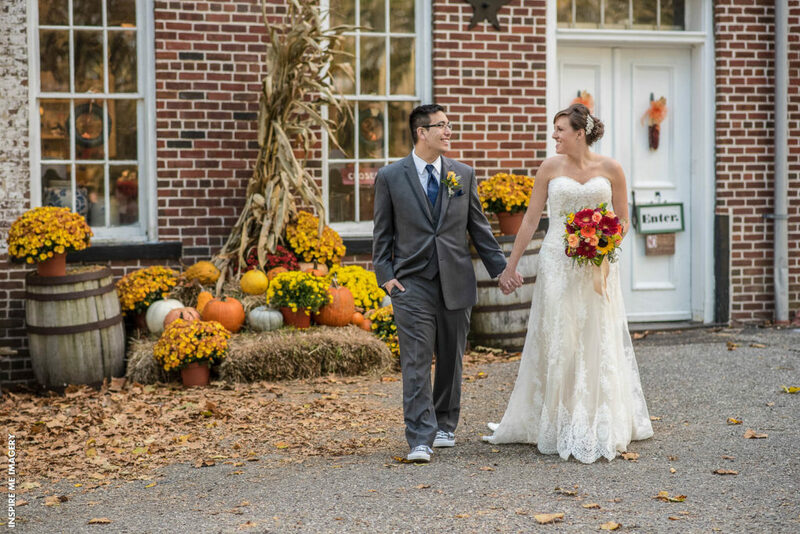 Here are some of our favorite wedding combinations to “fall in love” with this fall. The contrast between the soft pink roses and the deep purple roses placed against the bridesmaid’s gorgeous deep purple dress is everything. 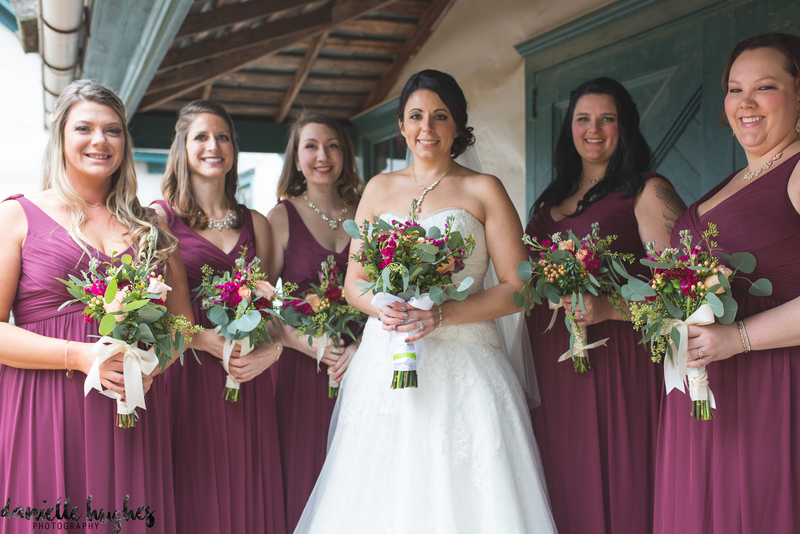 Deep, dark hues of purple are a nice choice for a fall wedding. 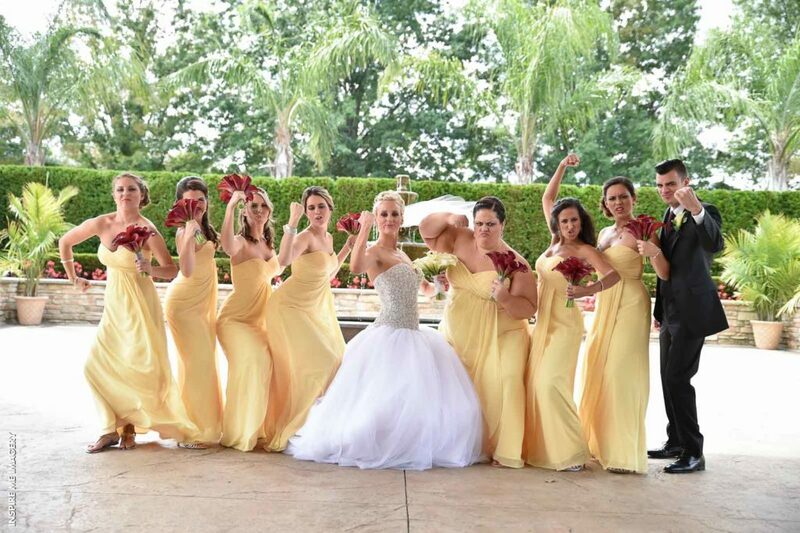 As you can see from the bridal party above, the darkness of the bridal bouquet compliments the soft golden yellow dresses perfectly. 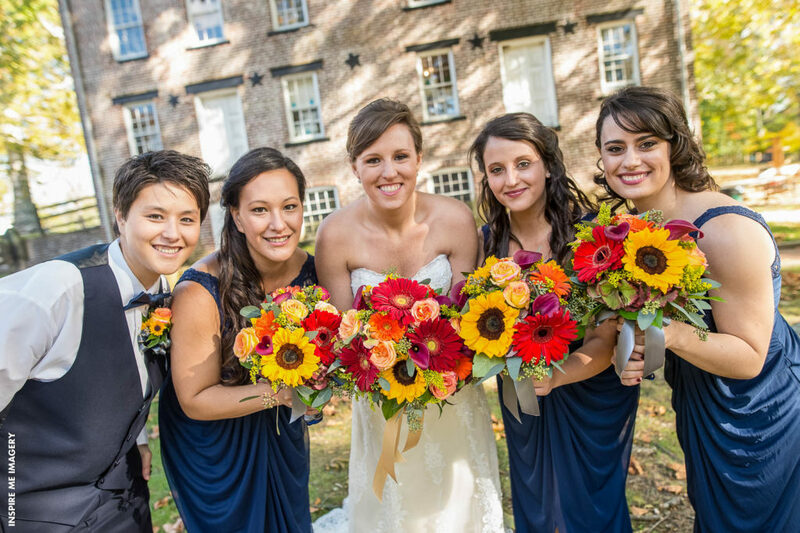 This couple got married in the fall and decided to choose colors in the same family. 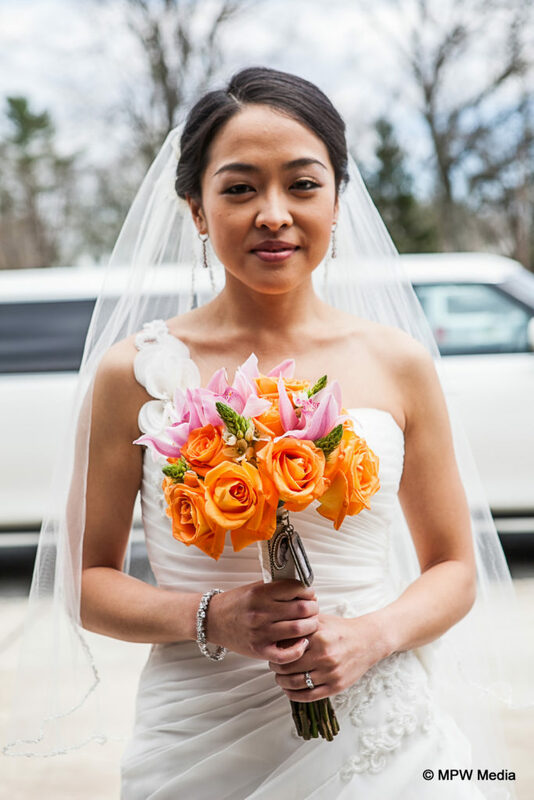 Opting for very different but compatible hues of orange, you can sense the very essence of fall throughout their special day. Although not the main color in these wedding photos, yellow pairs well with just about all the traditional fall colors. 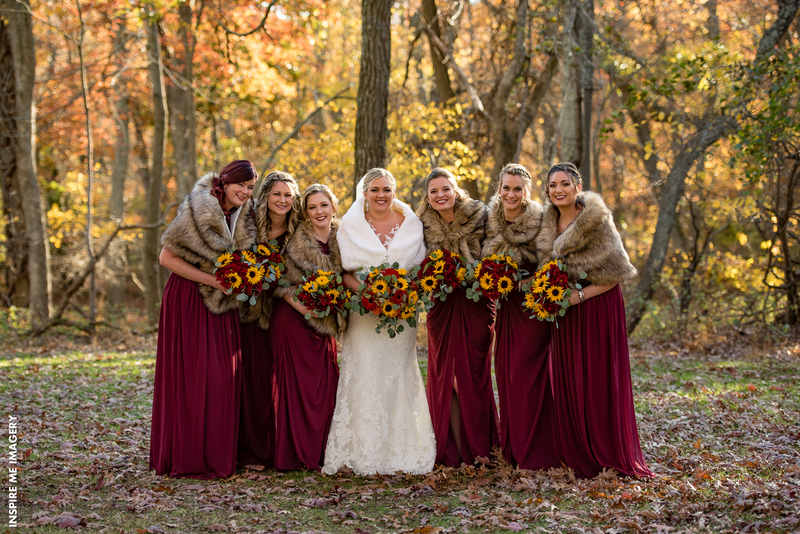 As you can see here, the bridesmaid’s have chosen burgundy dresses with fur shawls, and an arrangement of flowers with bright yellow sunflowers bursting out. 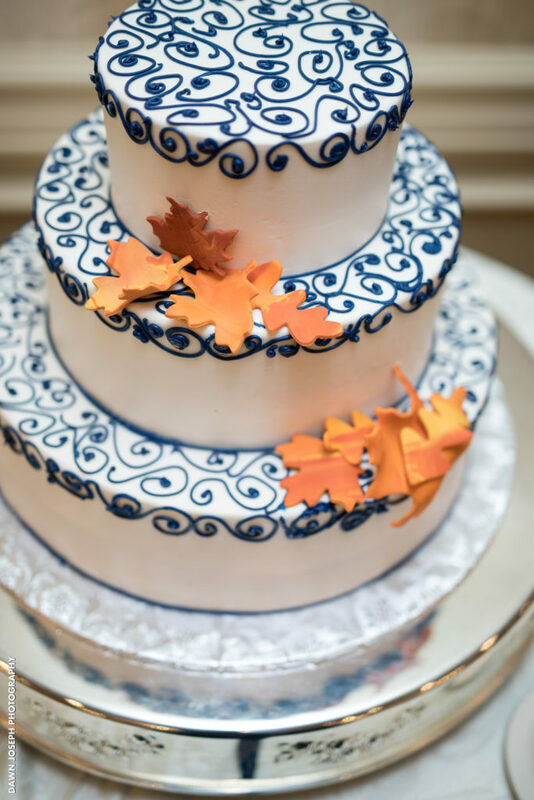 Pulling away from your traditional fall colors, this couple chose a flattering navy blue and gray color scheme. 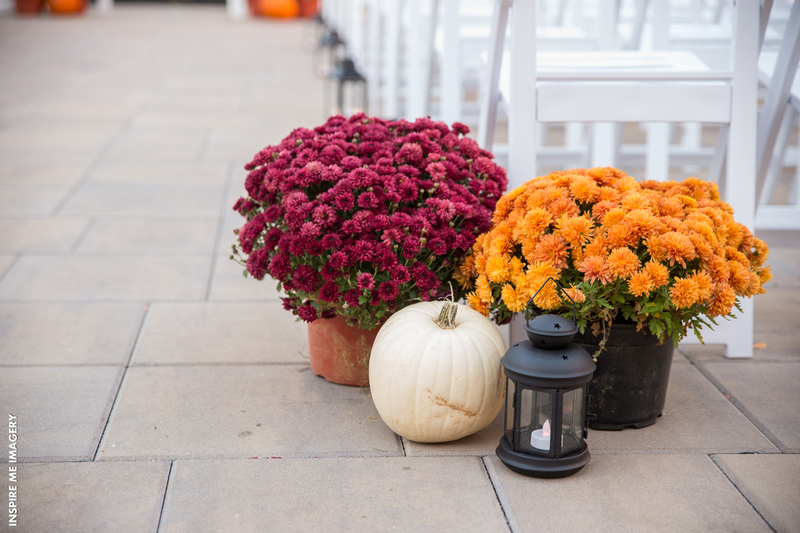 They did add in elements of fall by choosing very beautifully arranged seasonal flowers that serve as the perfect burst of color in this darker combination. 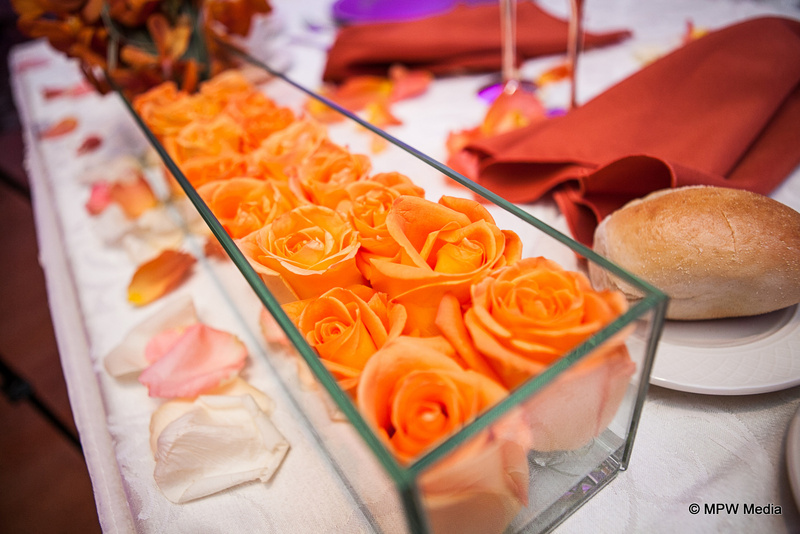 Many couples who wed in the fall have found ways to incorporate all the traditional colors into their vision. 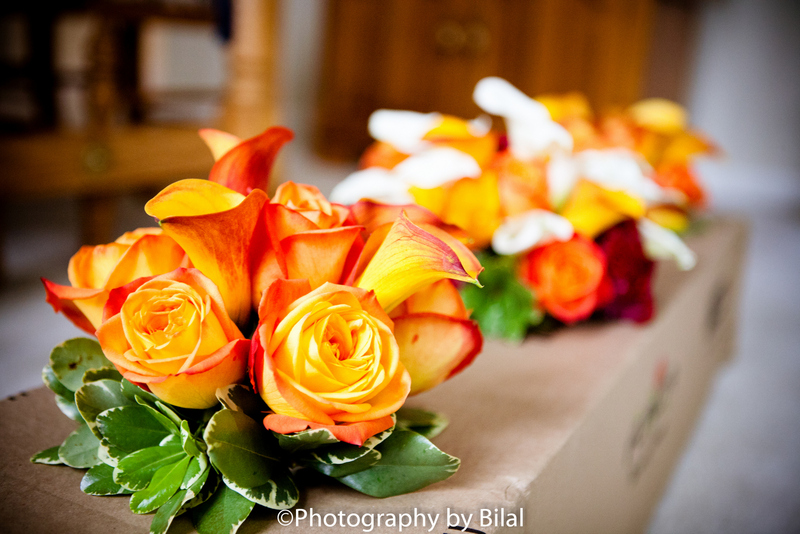 We’ve seen couples have floral arrangements comprised of yellow, orange, brown, purple, and red flowers. 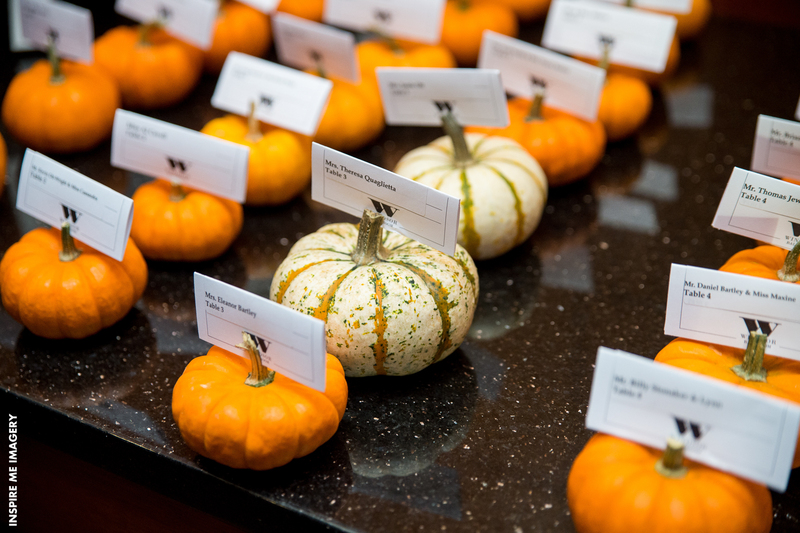 We’ve even seen planters and pumpkins used to tie in the whole fall theme, and they’re all absolutely creative and stunning. 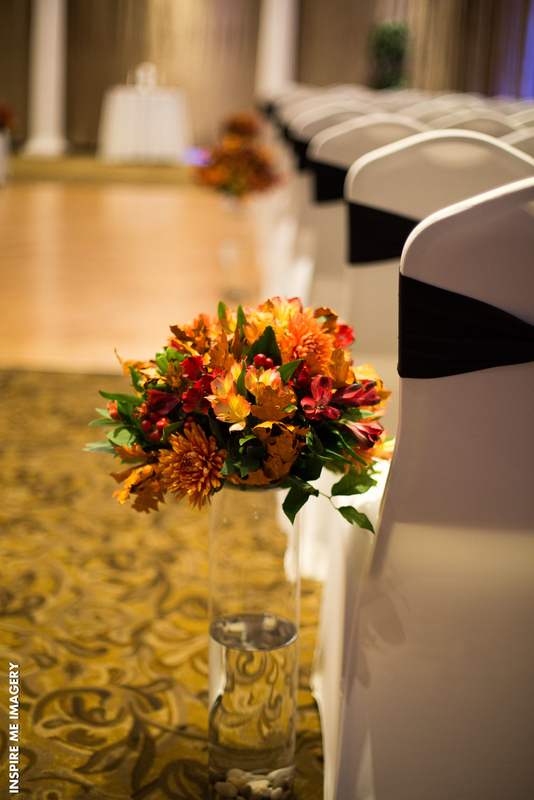 You can draw a lot of inspiration in the fall as it pertains to your color choices and overall wedding theme. 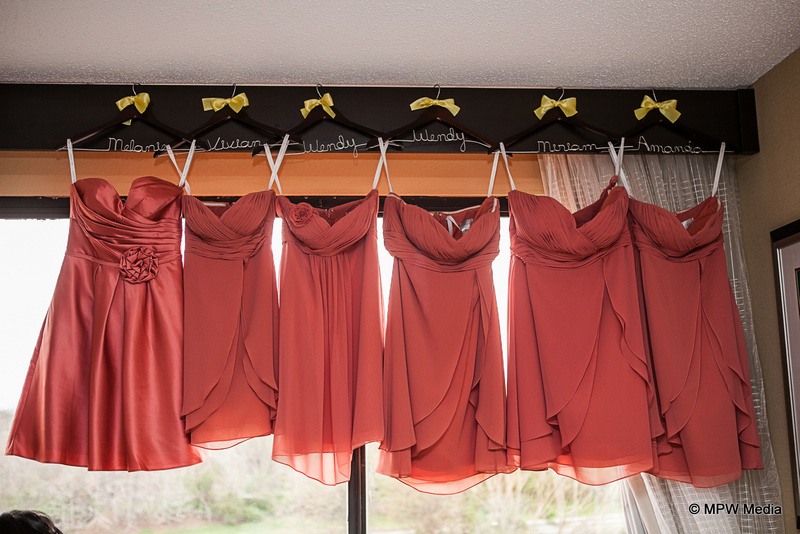 Perhaps some of these color combinations have inspired you for your big day. 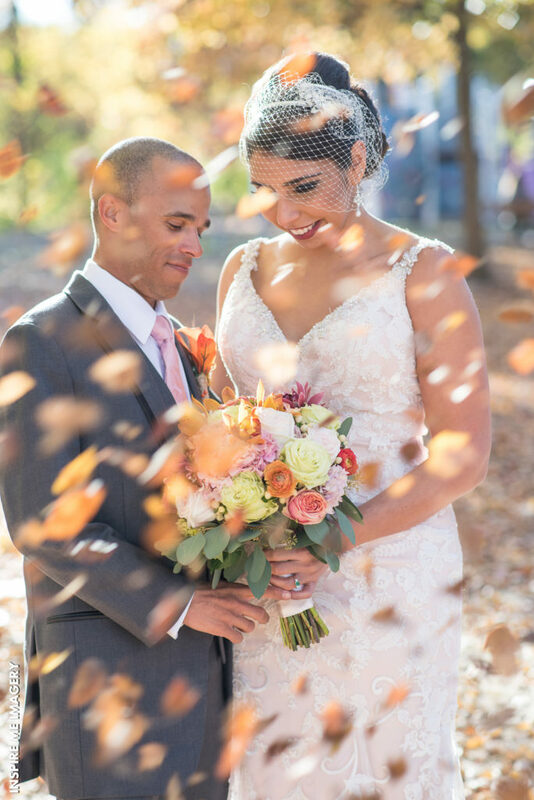 Whether you go all out and have elements of fall throughout or you add little hints here and there your fall wedding is sure to be just as beautiful as those of those shown above.